Gripes have their origins and debts have their creditors. We haven’t crossed each other in days past or present, nor formed any grudges. I am but duty-bound to carry this out, so apologies in advance! In his past life, Yang Chen was a gentle person who was oppressed for his whole life. Now that he’s reborn, he chose to become an executioner and severs ties and grudges with his executioner’s blade, killing all that climb onto the Immortal Executioner’s Platform! Heads will roll! Humans’ in the human realm, demons’ in the demon realm, devils’ in the devil realm and immortals’ in the immortal realm! 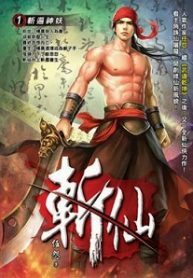 You’re reading Chinese web Novel Zhanxian on BOXNOVEL.COM. We will have 1330 Chapters (Complete) Thanks!